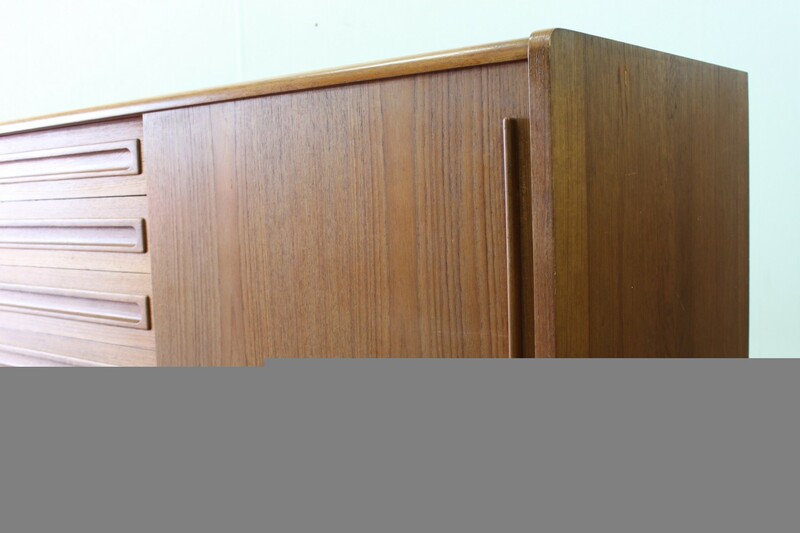 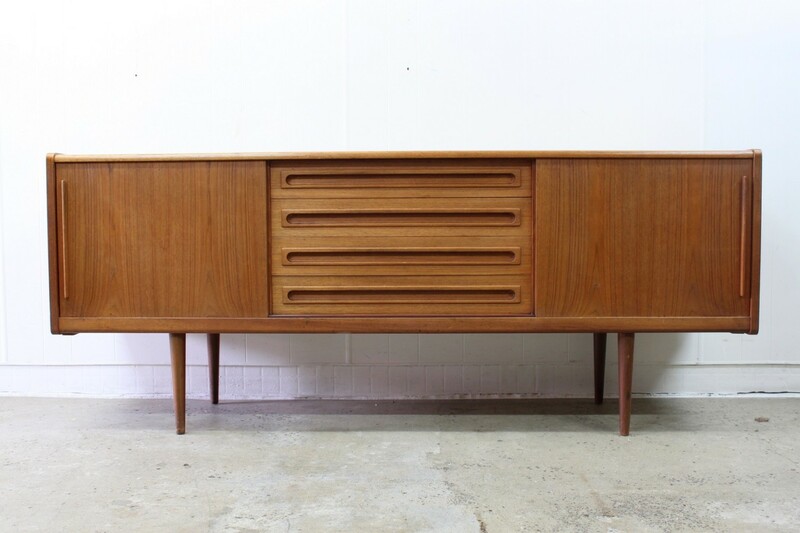 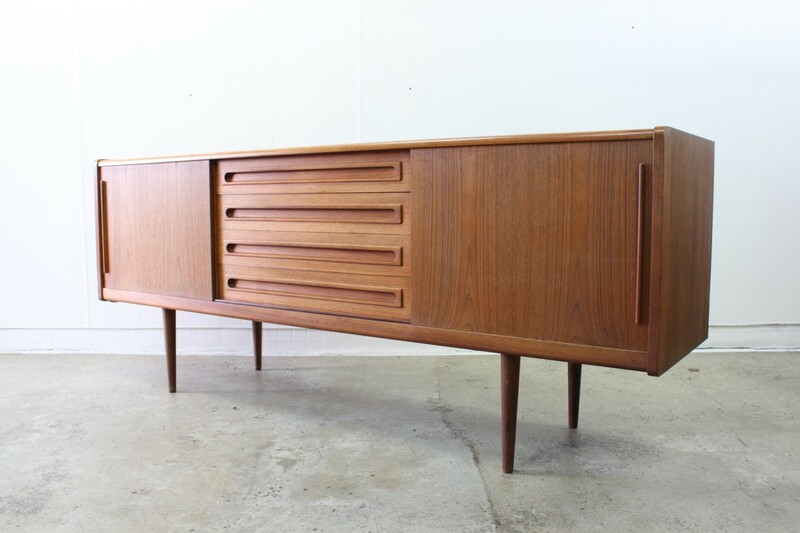 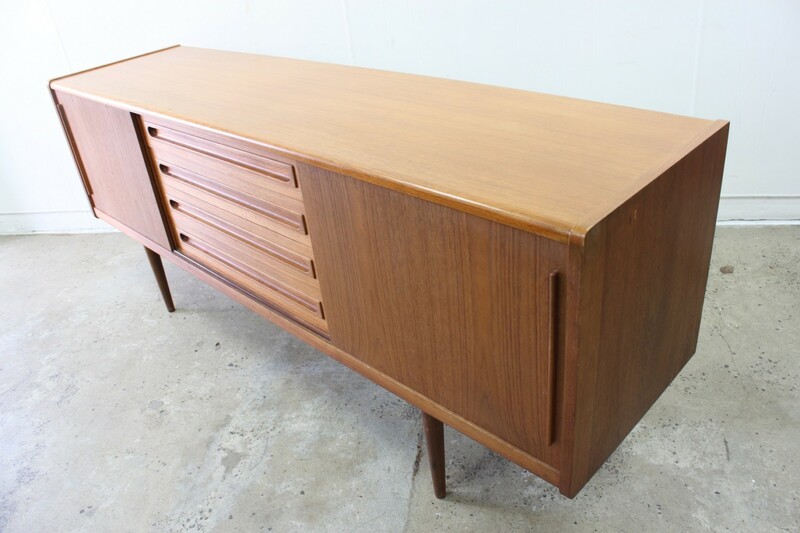 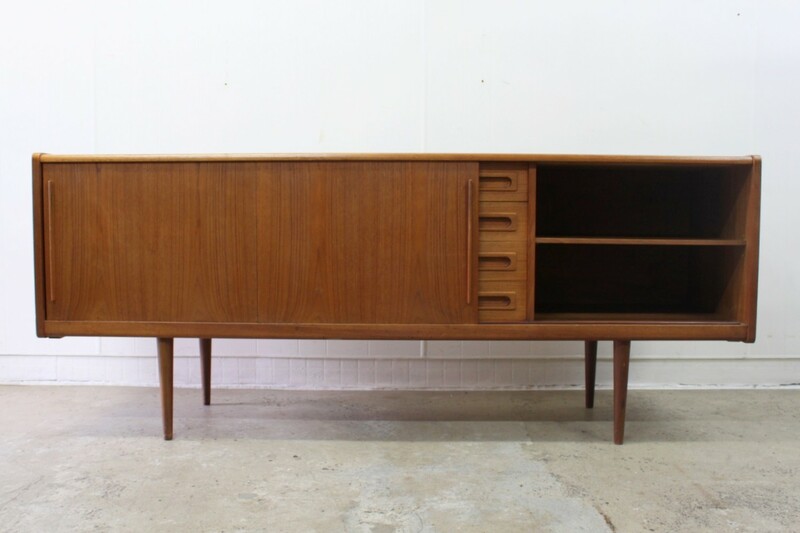 A beautiful danish teak sideboard with simple clean lines, it has a sense of elegance on round tapered legs which would work in any environment. 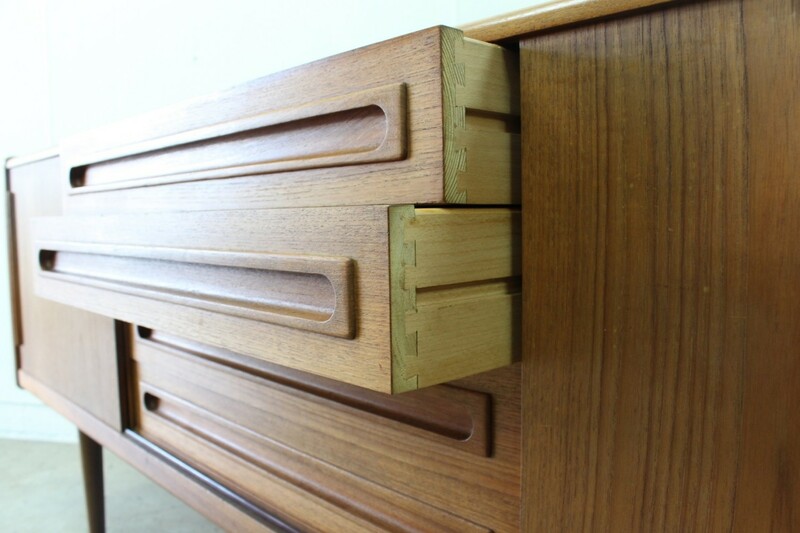 Lovely dovetail to the drawers and sliding doors work smoothly. 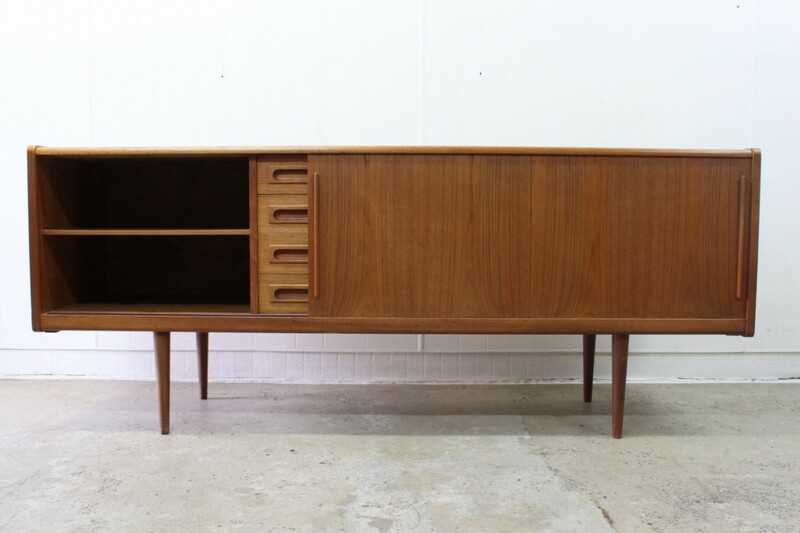 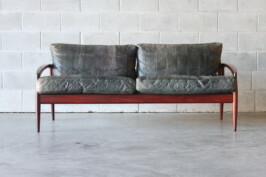 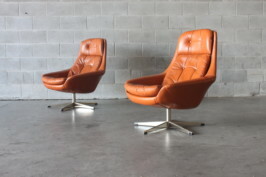 This piece is minimalist and effortlessly cool the perfect compliment for your modernised interior.